Sadly I haven’t found Tranquillity Base yet. It has taken me a while, but after a week of playing, I am starting to get to grips with Destiny and understand the various nuances of this hybrid of genres. I get the feeling that some media outlets took a chance on reviewing this game too early. When a big MMO launches, say a World of Warcraft expansion or Guild Wars 2, you don’t normally see a review appear for a good two weeks. With Destiny nearing the two week mark, I’m starting to become happy to talk about it a bit more. I’m finding the different elements of the game interesting to try and piece together and to understand why they have been arranged as they are. There is a full suite of singleplayer missions that you can, if you wish, play co-operatively with friends through your fireteam. But, unless I am missing something, you can’t be automatically hooked up with other players who want to experience that mission. Yet match making is in full force when you want to take part in a Strike mission, these are effectively the boss mission for each planet. If I am honest, it wasn’t until I took part in my first Strike that Destiny started to click, as this is a game which really shines when you are playing with others. My first Strike was 50-minutes of battling across the Moon with two people I will never see again. Our only form of communication was to dance with each other at the end of the mission. Yes, dancing is included like with any respectable MMO. 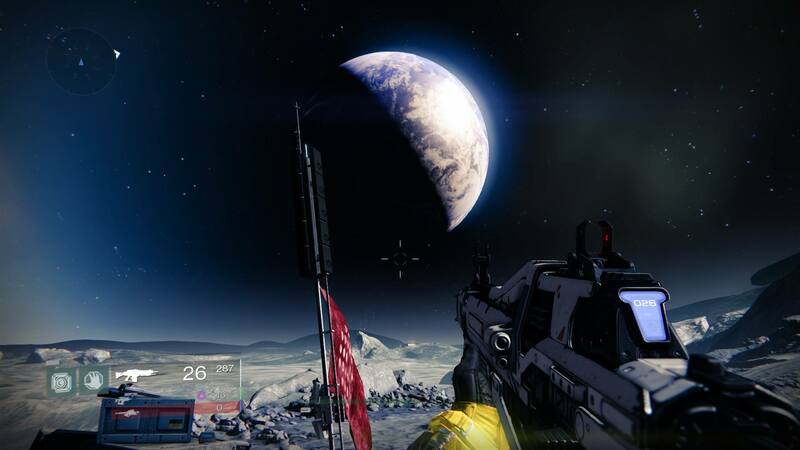 There are some stunning visuals waiting in Destiny. To further add to the confusion and blurred lines on where singleplayer and multiplayer cross, you can complete Patrol missions on each planet. In these, you drop onto your chosen planet with baddies all around, short missions to pick up here and there…and a healthy serving of other gamers doing their own thing. It really isn’t as clear as it should be and I would love to see match-making included on the normal singleplayer missions. It isn’t every day that one of your friends is online at the same time and eager to possibly throw themselves back half a dozen levels. 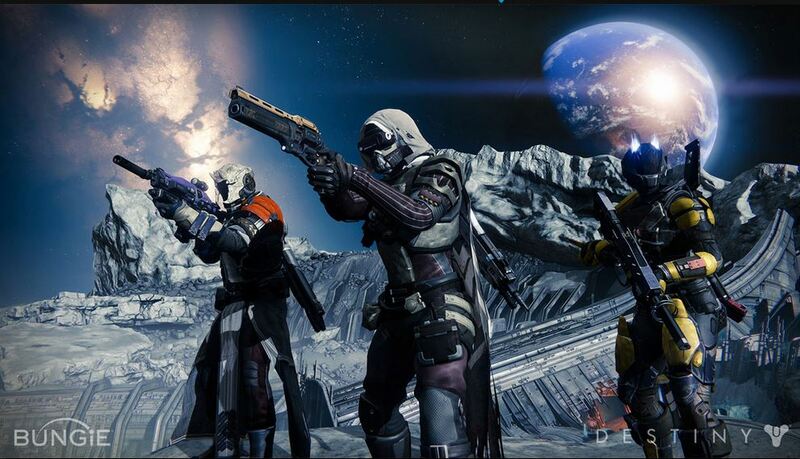 It sounds like I have gripes with Destiny, but by all means, they aren’t deal breakers. I’m really starting to get into this beast, and I haven’t even talked about the Crucible where the the PvP takes place. My Verdict will be coming soon, though it might have to wait until after the Eurogamer Expo. By then, who knows what Bungie will have added to the game? Destiny is a good game. Fundamentally, it manages to feel polished, well crafted and with a feel all of its own. But it isn’t a great game for many reasons. So many, that I have attempted to distill my observations into an analogy. Here we go… and I apologise in advance. Destiny is like a sculpture. Bear with me. Conceived as a first-person-shooter MMO, the idea seems to have been to create something resembling Halo-meets-World of Warcraft-ala-Borderlands. With quests, dungeons, multiplayer co-op/PvP and raids, all adding texture and definition to the bust – it would span genres like nothing before it. It would be a recognisable silhouette; it would be slick, and fans of all the influences would flock to its raggedy multi-talented banner. The physique would be inspired by Halo – all grenades and headshots, clever enemies and small-scale tactical combat. It would have WoW’s brightly coloured and improbably styled hair – a permanently online presence, with other players grenading and headshotting in the wilderness as you make your way to an objective, or to be teamed up with to take on the bigger challenges. It would even sport Borderland’s mighty chin – loot and gear sluicing around your feet as you mow down wave after wave of bad guys, or the occasional green glow of a loot chest. But someone, somewhere, decided that the sculpture was looking a little rough. A little too characterful and silly and bumpy; I mean, look at the chin – all big and cartoony. So the decision was made to break out the sandpaper, and focus less on the detail and more on that unique silhouette. Soon everyone was there, rubbing away. More sandpaper was bought, more people were hired, and soon the sculpture began to look smoother. Shiny even. The hair lost its lustre, and became little more than a vaguely defined brow, making the worlds feel empty and lifeless. The chin was worn down to sensible levels, losing almost all of the Borderlands trade-mark humour. The only thing that survived the purge was the physique – it still looked and felt like Halo, but even then it was shallower, less defined and barely enough to keep the whole thing standing upright. 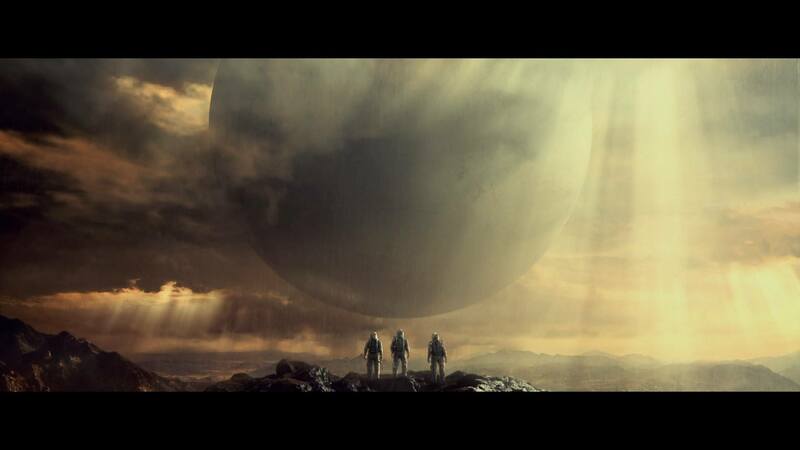 Destiny, then, is a tribute to minimalist perfection. A game in which everything has been ground down to the point of perfect focus. Every niggle anyone ever had about an MMO or FPS game has been surgically excised from the meat of the game, and a careful hand has filled in almost every gap with something to keep the flow moving. From the starship-travel that replace conventional loading screens to some of the most amazingly detailed and lush (although completely uninteractive) visuals ever to grace our poor dry eyeballs . Destiny certainly benefits from all the trimming and sanding down. But it has also lost something else in all that dust – something fundamentally important to a game of this stature. Something that Halo had in spadefuls, despite being a fairly monotonous shooter even when it was new. It’s a shame the whole thing is so mind breakingly boring and without character. But if you think about it, this is what a perfect game must look like – clean, crisp, and utterly uninspiring.